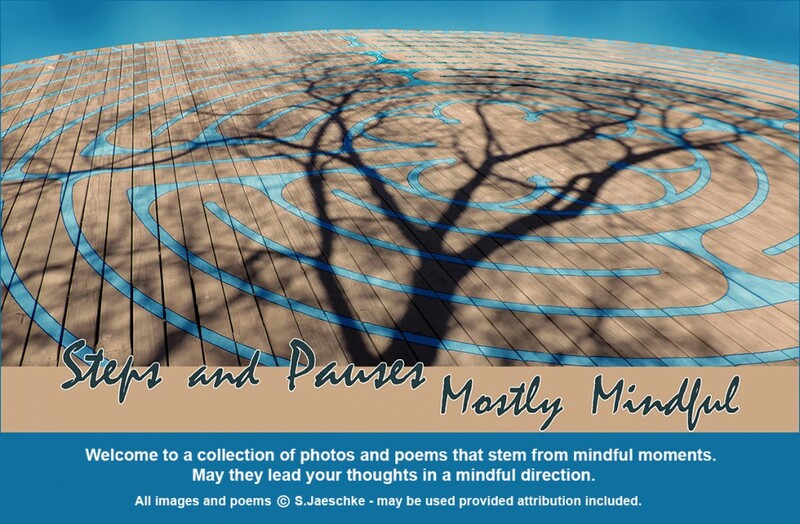 Posted on 2018-10-31 by Jazz Jaeschke	This entry was posted in Creatures, Nature and tagged Blue Mist Blooms, Butterflies, Cats, Mindfulness, Photo Collage, Poetry. Bookmark the permalink. Probably better for her to leap at butterflies, who can usually get away, than at lizards or grass snakes, which some of my cats have been good at catching, unfortunately. But this week somebody caught a small rat. I found the partly eaten remains and for once was not at all displeased by the evidence of hunting success. Thank you! I think the butterfly advantage is partly an unpredictable direction of departure – cats are good at pouncing, anticipating a lizard moving forward … that doesn’t work with butterflies! I think of rats as night squirrels and don’t bother them so long as they stay out of my house. I suppose in time Brie will deliver proof of her pounce – I’ll try to be proud of her, but I’d prefer a peaceable kingdom. This is a ginger gem of contrast and cuteness! Purrfect! That had to be entertaining. I could see it in your words. Yes, delightful to be amid the butterflies. And Brie triggers smiles even when she’s being a bit of a pest – soooo curious about everything! I had to smile at the cat’s “annoyance” – nice contrast between wings of butterflies and the fuzz blur of cat. Indeed, one very calming to watch … until the other sets off inner alarms! Thanks, VJ. Love your poem. Do NOT love the election results for House of Reps. Am in mourning in fact. Jane, thank you for your comments. Yes, today is a mourning morning.